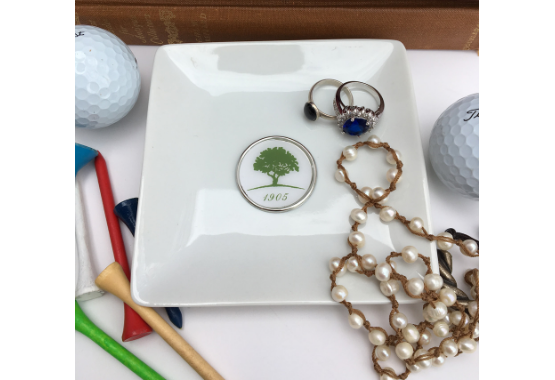 Gifts include trinket trays, wine accessories, desk accessories, and personal accessories. Quality gifts for both men and women. Our faux leather money clips are great gifts. They hold business card, credit cards, and cash. 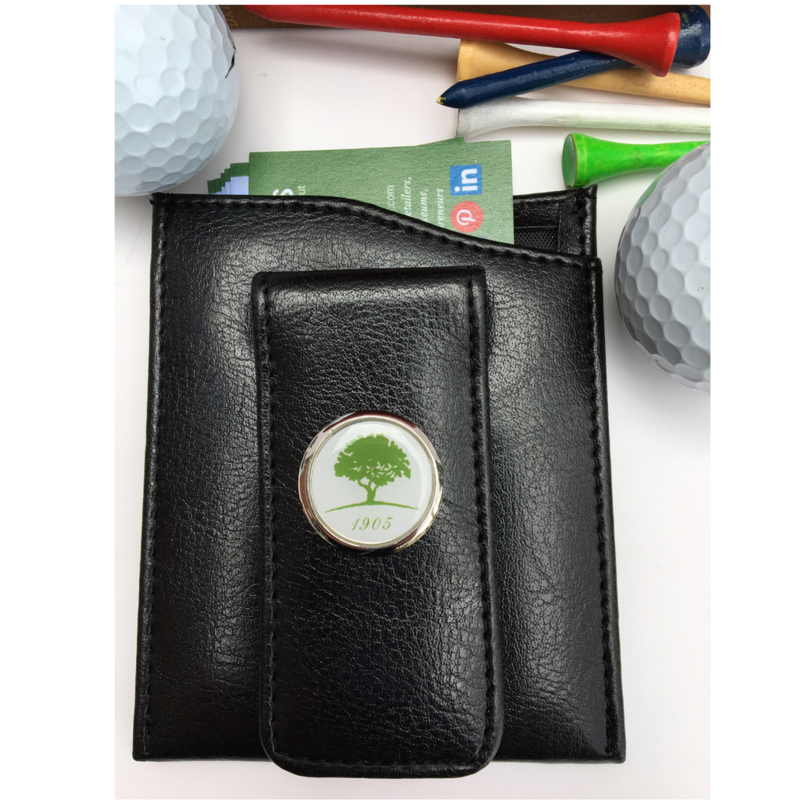 Each is embellished with a silver medallion featuring your golf club logo. 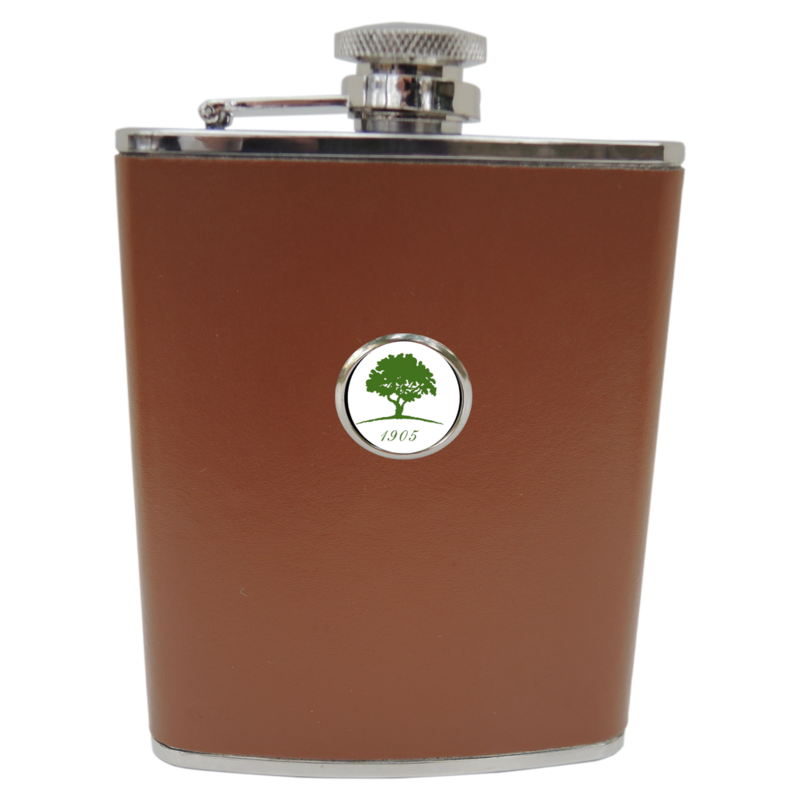 The leather flask is embellished with a silver medallion featuring your golf club logo. The flask holds 6 ounces. 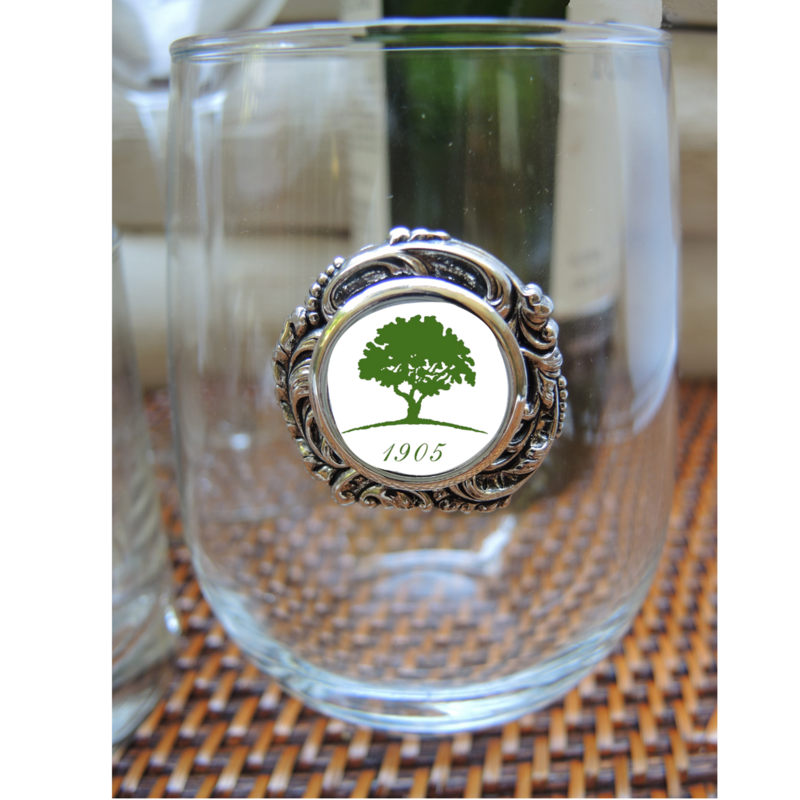 Our stemless wine glass features a silver medallion and in the center is the golf club logo. 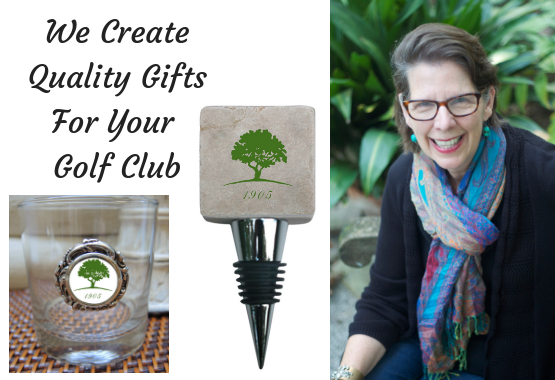 Create gifts for your club that will be remembered. Be sure to click the green button to sign up for prices and guidelines.